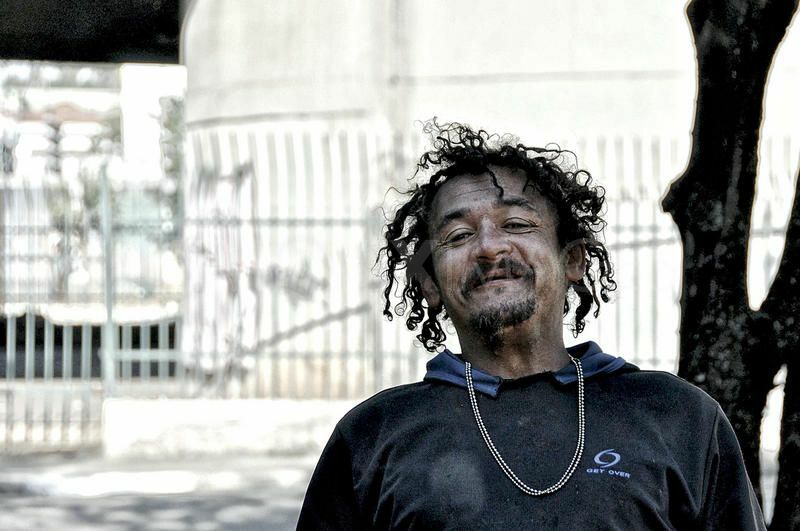 Every day when I walk down the street in Brasília, I see my friend Gilson. We haven’t always been friends. I avoided him at first because he was living on the sidewalk and was kind of smelly. One day he motioned for me to come over and asked me my name. I asked him his and we exchanged pleasantries about the differences between American and Brazilian politics. Surprise number one: He knew a lot. After two weeks I was feeling generous (and self-righteous) and sauntered over to his corner to offer another meal. I was stunned when he said no and even more so when he wouldn’t even look at me. Surprise number two: I had offended him and it was several days before he would talk to me again. The next time I saw him I was in a hurry and tried to hand him the money to buy his own lunch. Surprise number three: He told me he preferred not to take money and that I could bring him lunch another day. Surprise number four: Most days he doesn’t ask for anything at all. He just wants to talk. I’ve spent a few dollars on meals, but I’ve gained more than I’ve given. My homeless friend keeps teaching me how to look at others with different eyes. Because of Gilson, I know that people on the fringe of society are STILL people. They want to be known by their names. They want to be treated with dignity and they want friendship more than they want a handout. Does Brazil have any sort of safety net for the needy, or shelters, etc.? I wonder what led to this man’s being homeless. I don’t think every homeless person is like this, but it’s good to remember they are not all alike. Unfortunately, quite a few panhandlers around here aren’t even needy. I think you’re very brave, Hope, but I’m sure the Lord honors your kindness and watches out for you. This reminds me of the time at a block party for homeless people I asked a man if he wanted a to go box. He said no God takes care of me everyday. I don’t need to take anything. Lesson learned.